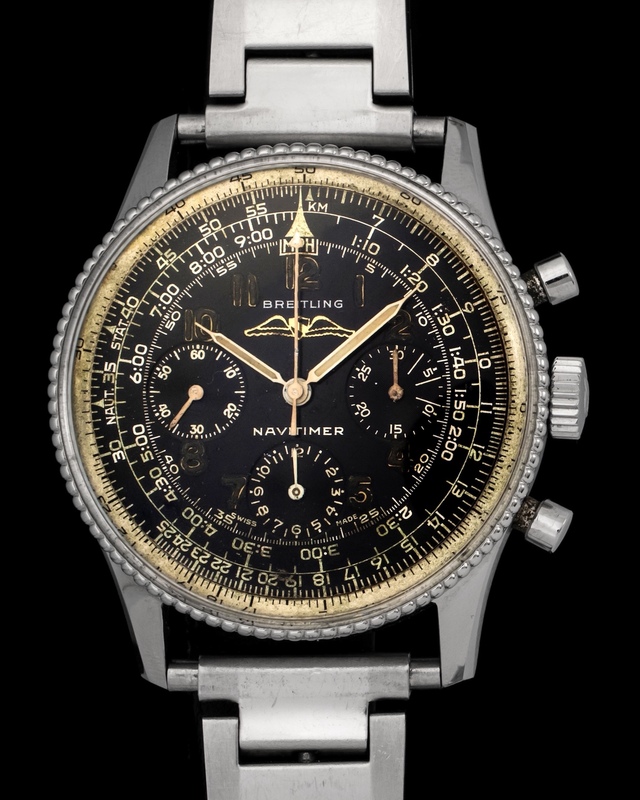 Fashionable Black Dial Navitimer Aopa 1st Series. 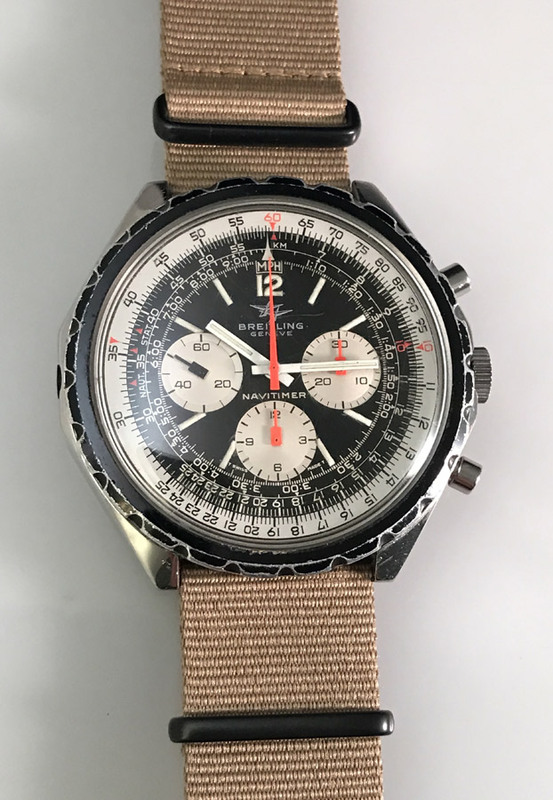 This watch is in top vintage condition. Powered by a manual caliber and put together by a leather strap.